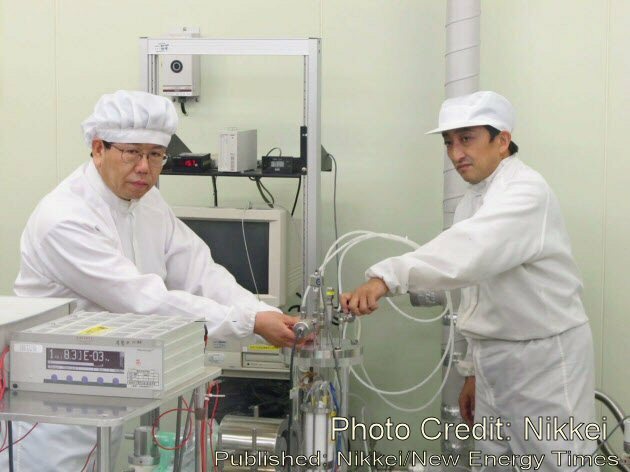 New Energy Times is reporting a translation of a recent Japanese article in Nikkei, a popular business magazine, that Mitsubishi Heavy Industries plans to use low-energy nuclear reactions to clean nuclear waste. This patented LENR transmutation method was developed by Mitsubishi physicist Yasuhiro Iwamura. Mitsubishi Heavy Industries began the study of the transmutation work in the early 1990’s and work has continued despite a limited budget and staff. The group’s research only became widely known in 2002, after Iwamura published a paper in the Japanese Journal of Applied Physics. While the article predicts this technology is at least 10 years away, a surge in awareness and funding may speed the development of their research.